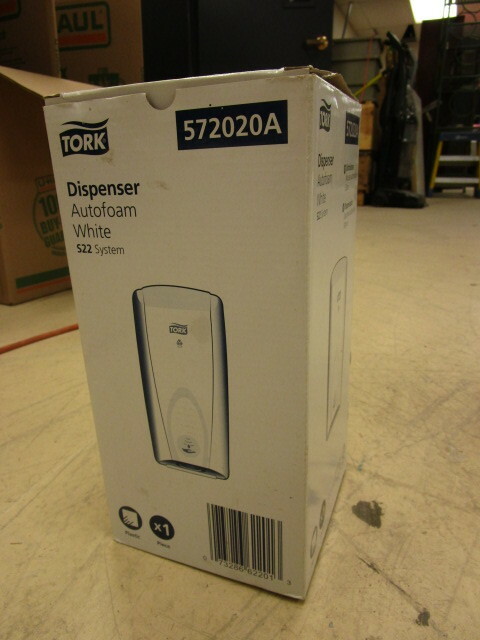 4 Tork dispensers -2 for soap 2 for toilet paper. 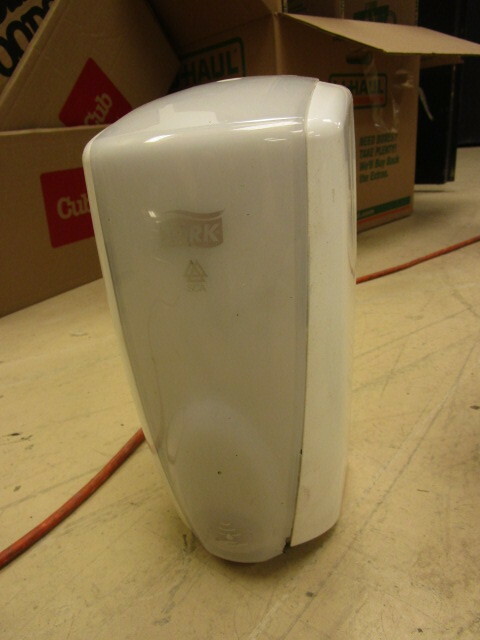 Soap dispensers are model 572020A -S22 system. 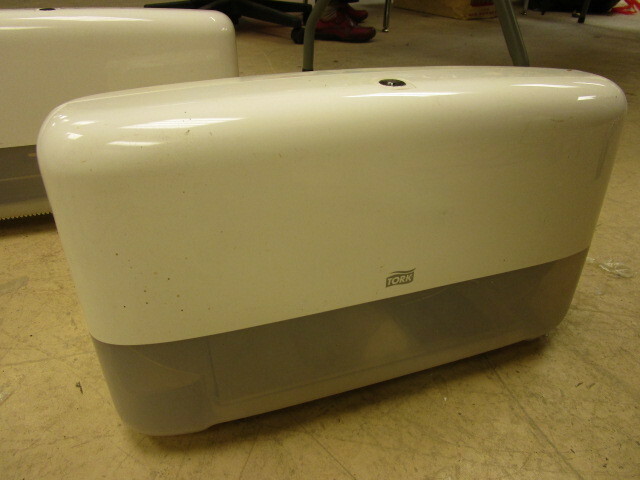 The TP dispensers are model 5555200, System T2. 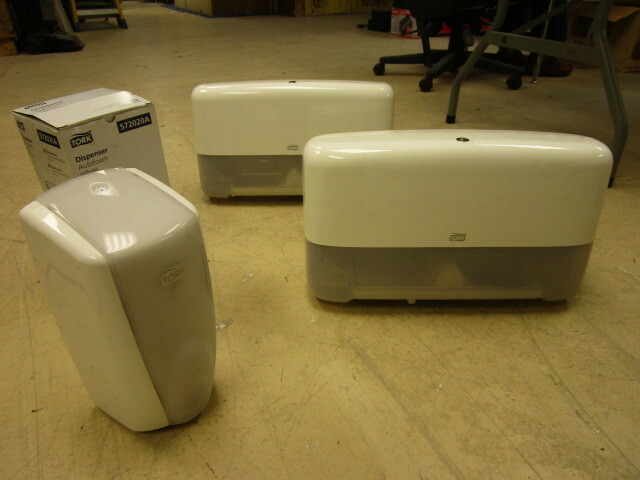 1 soap dispenser is new, the others are in nice usable condition. The pick up dates for items won in this auction are Wednesday, January 9th and Thursday, January 10th, 2019 between 8 am and 7 pm. IF YOU CANNOT PICK UP ON THOSE DAYS, DURING THOSE TIMES, PLEASE DO NOT BID. Please come to pick up with a vehicle appropriate for the size and number of items won. Bring extra people for carrying and lifting items into your vehicle if necessary. NO LABOR PROVIDED.